St. Louis's Best Youth Soccer Programs for Children and Teens! 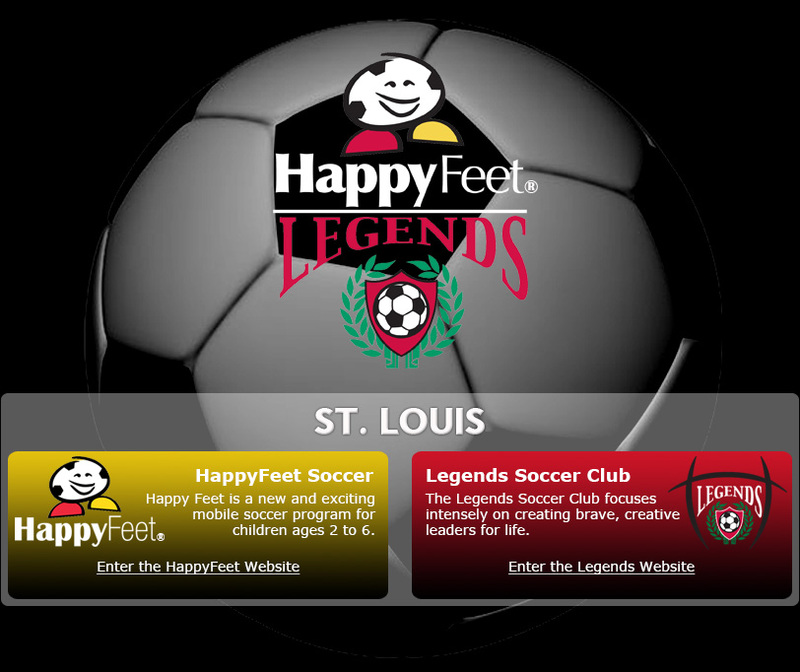 HappyFeet and Legends of St. Louis offers an exciting in school on site soccer clinic for little kids between 2 and 6 years old. We use our proven, fun “Story Time with a Soccer Ball” approach to teach boys and girls soccer at daycare centers, preschools and parks throughout St. Louis and its suburbs. Children all across the United States are being introduced to the wonderful game of soccer through a HappyFeet Curriculum that has been consistently improved upon by Early Education Leaders for over 25 years. Give your child an opportunity to see how much fun soccer can be when its done their way! The St. Louis Legends Soccer Club is the next step. If your child has already reached kindergarten age, elementary school, junior high or high school we have a unique developmental training system with an incredible 20 plus year history. In addition to exceptional knowledge of the sport, Legends coaches are also caring, patient and kind. HappyFeet and Legends Soccer classes, camps, leagues, teams, academies and birthday parties are offered year round throughout Greater St. Louis, including St, Peters, St. Charles, Lake Saint Louis, Florissant, O’Fallon, Cottellville, Harvester, Ladue, Wentzville, Troy, Chesterfield, Maryland Heights, Creve Coeur, Town and Country, Kirkwood, Clayton, Ballwin, Valley Park, Sunset Hills, Affton, Ferguson, Bridgeton, St. John, Warrenton and Wright City.